The Rucksack is our version of the common drawstring ruck. Dual side entries allow fast ambidextrous access underneath the lining, separating the bag into two discrete sections, each with internal elastics and mesh pockets for organization and mounting of accessories. 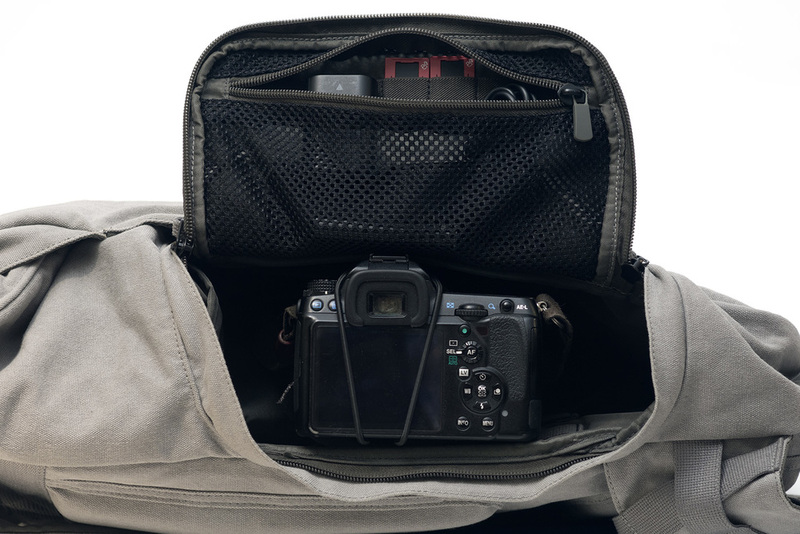 Holds up to a 17" laptop in a neoprene lined compartment with waterproof zipper and two hidden stash pockets at the waist safely hold lens caps, filters and other small items.